Based in Atlanta, Georgia, SCE delivers Real World Legal Solutions® to businesses and creditors throughout the United States. For over 47 years, SCE attorneys have brought The Power of Legal Knowledge® to our clients’ legal needs in order to deliver optimal results. At Stokes Carmichael & Ernst LLP, our attorneys are committed to creating dependable, customized legal solutions for small and mid-market businesses as well as national corporations. We have the abilities and resources to act on a national level. Based in Atlanta, Georgia, we are proud to be recognized by independent and respected organizations for the high-quality legal services we provide. Both the firm and our partners have received Martindale-Hubbell's highest rating — “AV® Preeminent®” — for excellence in legal ability and ethical standards. 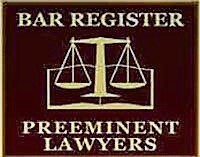 We are listed in the Bar Register of Preeminent Lawyers, and our partners have been consistently recognized as being among “Georgia's Legal Elite: The State's Most Effective Lawyers” by Georgia Trend Magazine and as a “Super Lawyer®” by Georgia Super Lawyers Magazine and Atlanta Magazine — an honor shared by only the top 5% of lawyers in the state of Georgia. To schedule a private consultation at our Atlanta firm, call 404-352-1465 extension 441. You can also reach us through our convenient online form. SCE regularly publishes its free LawView® Newsletter, containing articles of interest to clients and subscribers on current legal trends, recent cases, new statutes, and practical advice.